William 'Meteos' Hartman is one of the few North American born players who has legitimately proven himself to be one of the best in the world at his position during the LCS era. 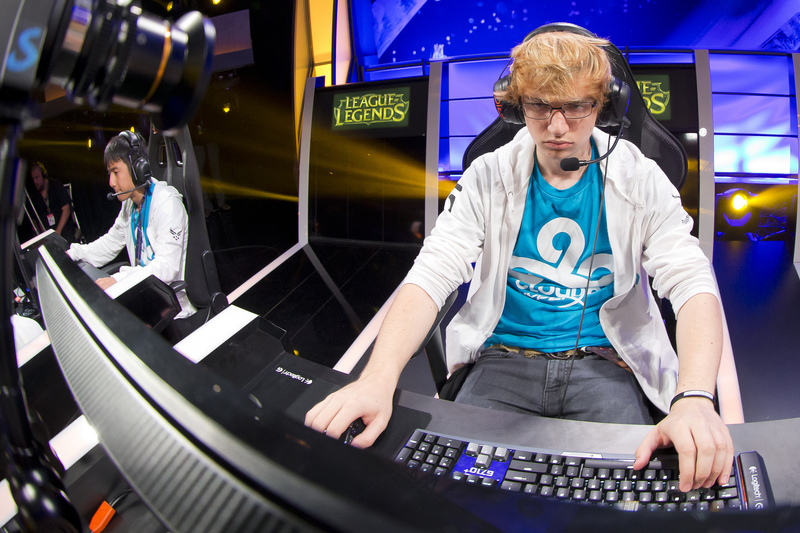 Emerging as the star player of Cloud9 during their dominant LCS Summer run in 2013, Meteos would evolve his game drastically the following year, showcasing effectively the opposite style of Jungling. Towards the end of 2014 he was able to display mastery of additional champions, establishing himself as a complete player and winning his team their first international title. Carry Jungler, KDA king, Star player and unique presence in Western Jungling. This is Meteos - the American monster. Meteos is one of the great finds in the history of competitive North American League. The American was a total unknown prior to Season 3, off playing thousands and thousands of normal games on high ping. He had competed in Go4LoL tournaments (small online cups) with a team of friends, but they had been unable to attend the LCS qualifier for the Spring season. It was only a chance meeting with WildTurtle, then ADC of Cloud9, which had set in motion the sequence of events that had secured Meteos a spot on the team, initially subbing in for some online tournaments they subsequently won. The Cloud9 line-up that has endured to this day was clearly a special line-up from the beginning. Having dominated the amateur scene, they swept the Promotion tournament without a loss and Meteos was front and center as the star player. The Jungler posted an unbelievable 45 KDA and did not die a single time during their campaign. Team-mate Hai had teased fans with stories of the C9's dominant scrimmage records against top LCS teams, but nobody had been prepared for the arrival of a monster carry Jungler into the LCS. In his first week of LCS play, Meteos established that the Promotion tournament had not merely been the result of facing lesser competition, dying only a single time over his first five LCS games, all of which Cloud9 won. Five weeks into the LCS Summer split, Cloud9 had blown the entire North American scene away, winning 13 of their first 15 games. Meteos' Jungling style had not come close to being neutralised, as he embraced a farm intensive approach. Jungling almost 10% of the time more than the average LCS Jungler, he was averaging 35% more creeps by the 12 minute mark. Meteos would get almost 50 gold more per minute than other Junglers. C9 were willing to sacrifice gold from their ADC, according to the stats, to see Meteos farmed up more. This unorthodox approach had the C9 star, whose most favoured champions were Nasus and Zac, arriving in team-fights sometimes an entire item up on the opposing Jungler and with enough farm to be considered a carry in his own right. In those team-fights, which he would initiate, he was integral to C9's success, boasting a 76% kill participation and a KDA more than double the league average for his position. Meteos bouncing around team-fights as Zac, diving under towers and engaging onto multiple opponents, is the vivid imagine one conjures up when thinking back to that debut season. 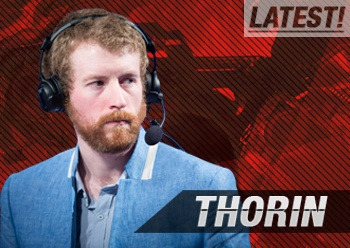 His farming style would have him arriving to team-fights far too tanky for the opposing team, and especially their Jungler, to hope to be able to deal with. After initiating the fight, he would kite multiple enemies around, while his own carries fired away at targets not focused upon them. ADC Sneaky may have seen less gold than others at his position, but in team-fights he was free to kite around the outsides dealing damage, with Meteos in the thick of things, soaking up the enemy's damage. Meteos' style was not as simple as it may have appeared at first glance, though. Cloud9's team-based approach was to prioritise dragons and towers over kills, as evidenced by their ability to climb back into games they were facing a deficit in purely due to securing uncontested dragons and knowing when to pressure and take towers. When facing 1v2 lanes, C9 would have Meteos come to their 2v1 lane and push the tower down fast, forcing the opponent to make a quick decision on how to response. As a result, Meteos' stats also saw his time spent pushing lanes at 16%, as compared to the league average of only 9%. C9's focus upon dragons would rely upon Meteos' talents. The American Jungler would time all the dragons, barons, buffs and enemy buffs. Sometimes he would even be able to solo a dragon by himself early, other times C9 would shown an incredible ability to time dragons which allowed them to be taken entirely uncontested, either sneaking them or having the opponent arrive to late to feel it worth contesting. Hai was the team's main shot-caller, but Meteos was in charge of buffs, baron and dragon calls. The first split ended with Cloud9 going 25:3, Meteos averaging a 12.7 KDA and going undefeated on Nasus (10:0) and Zac (8:0). The C9 Jungler had died only 29 times over a total of 28 regular split games, with only three of those coming on Zac. 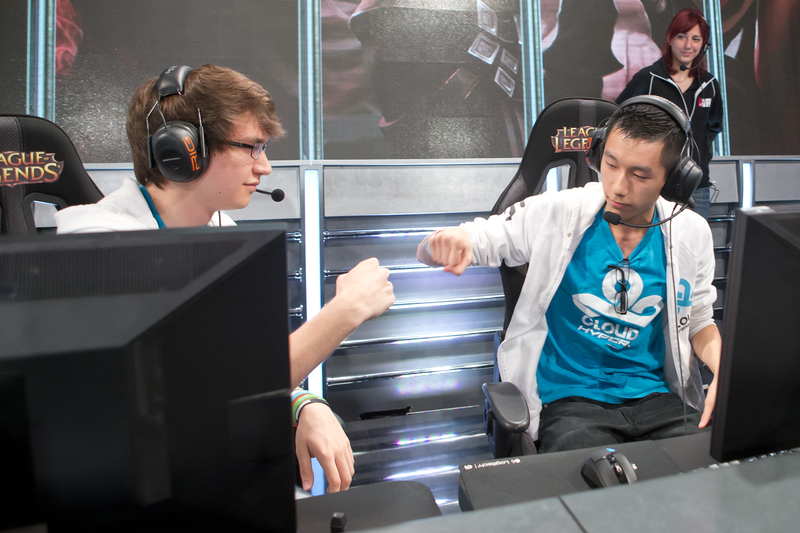 C9 would sweep the play-offs 5:0 and Meteos earned the MVP award, finishing with a KDA of 15. Seeded directly into the quarter-final of the Season 3 World Championship, Cloud9 and Meteos would struggle in their international debut. Despite taking a game off European champions FNATIC, the American side would lose the series in the third game and Meteos proved entirely ineffective, farming up massively on Nocturne but not being able to do anything of note in the game to stop the FNATIC snowball. In late November, Cloud9 traveled to IEM VIII Cologne and would there face legendary European Gambit. The Russian-based team beat them in two straight games and Jungle master Diamond, famed for his heavy gank pressure and counter-jungling, would both leave Meteos underfarmed and unable to find any appropriate response. Meteos' style had been incredibly effective within the bounds of North America, but his first challenges in the international scene had seen him ineffectual and C9 neutered. Closing 2013 out with a series win over FNATIC in the exhibition tournament allowed a little dignity to be returned, as Meteos showed an impressive performance on Vi and Fiddlesticks to show he could survive outside of merely spamming Nasus and Zac. Still, something would have to change if Cloud9 hoped to succeed against international competition and into Season 4, as many experts pointed to Meteos' dominant approach of the Summer having been exposed. 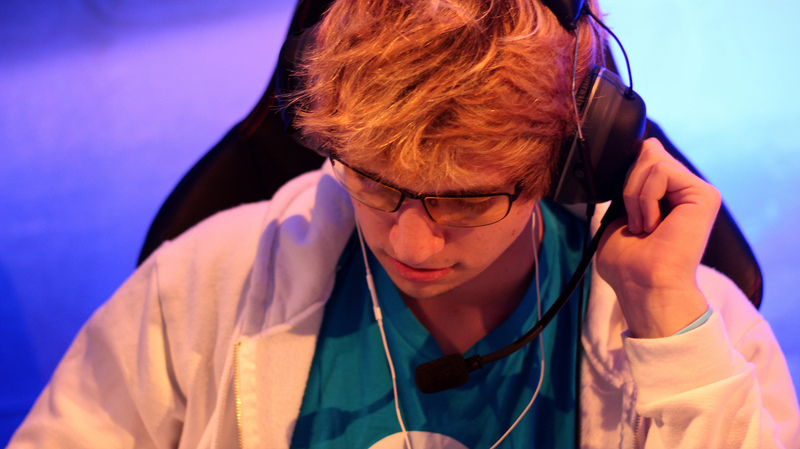 The Spring split of 2014 seemingly saw Meteos born anew as a Jungler. Where before he had farmed up to help his team dominate late-game team-fights, now he was an early-game gank machine. Balls would be the primary beneficiary of this new look Meteos, seemingly always receiving an early gank which would early secure a kill or ensure they took an early tower. This entirely new style, more in line with the low economy and high pressure style of the elite Korean Junglers of the previous season, came with a new champion pool for the C9 star. Gone were Nasus and Zac, as Meteos now showed Elise, Lee Sin, Kha'Zix and Evelynn as his core picks. Cloud9 win finish with an almost as stellar 24:4 record at the end of the regular portion of the split and had lost only three games over his four main champions. His Lee Sin had been particularly of note, the opposite of a farming Jungle champion, as he had recorded a 16 KDA with it. Undefeated on Kha'Zix and Evelynn, Meteos finished the split with a winning record on seven different champions. This split had seen Meteos repeat his feat of being a revelation through an entirely opposite method from the first time. After another MVP level split for C9, he would win his second straight LCS title, the team again going undefeated in the play-offs. Going into Worlds the previous year, Meteos had been the primary star of the North American scene and all eyes had been upon how he would fare against international competition. His only rival had been Xmithie, the Jungler of Vulcun. Vulcun had been the only team to avoid a losing record against C9, beating them twice, and a big part of that had been the aggressive Jungling of Xmithie, who favoured the high pressure approach of the Koreans over Meteos' unique style. Due to Meteos' difficulties in international competition, the post-Worlds period was open to legitimate conversation over who was the best Jungler in North America and which style would prove the most effective. With Xmithie's career dying away in the following split and Meteos not only adapting but flourishing as a high pressure Jungler, that conversation quickly disappeared and Meteos reigned alone and untouchable at the top in North America. The Summer split was the first time Meteos ever struggled domestically. The first few weeks in particular he seemed unable to exert the kind of impact he had in the Spring, with Balls himself seeing a diminished performance as a result of no longer being assured that early successful gank. Meteos was still good but his champion pool took a hit in effectiveness just as C9's winning record struggled to match the superb level of splits gone by. At the end of the split, C9 managed to climb into first place, but they had lost many more games than in previous campaigns and Meteos not only had a winning record on only four champions, but the only one of spectacular note was his 7:2 Lee Sin. At the World Championship, Cloud9 played well and showed their uncanny ability to come from behind and stay in games, thanks to decisive play and bold decision-making, but Meteos was once more unable to shine on the international stage as he had domestically. His Lee Sin was average, his Elise of no note and his lone attempt on Jarvan is better left forgotten. Playing in a field with names like DanDy and inSec out there, few will remember Meteos' form, despite his team recording some memorable wins. It seemed as if 2014 would finish with a similar trend of international underperformance for Meteos, the only other event having been the All-Star tournament, where C9 had been without their shot-caller and Mid laner Hai. The year was coming to a close for the team with IEM IX San Jose, but Meteos had much left to say. Cloud9 won IEM IX San Jose with their classic hallmarks of play all present, but the stand-out performances belonged consistently to Meteos. In the team's most dangerous series, the semi-final against European mechanical powerhouse Alliance, Meteos had effectively neutralised legendary European Mid laner Froggen. The prevailing memory of the series would be Meteos on Jarven displaying a sublime and smooth mastery of the champion's combinations, going in, knocking up the Alliance carry and trapping him in the ultimate. Meteos' ability to repeatedly finds those kinds of engages and ensure Froggen was quickly killed off, meant C9 were able to overcome even a solid series performance from Rekkles, Alliance's new recruit. Sneaky had gone head-to-head with Rekkles and matched him, but it had been the dominance of Meteos from the Jungle that had ensured C9 were the ones headed to the final. In the final Meteos could not be touched, again displaying far superior play to the opposing Jungler. This time he even impressed on Lee Sin, showing off a beautiful three man kick in one memorable fight. Despite his history of wins on that champion, Meteos had never been well known as a master of Lee Sin. Meteos had shown yet another side to his play and a versatility to his champion pool. Most astounding of all had been his reliance upon Jarvan, a champion which had barely ever utilised in competitive play and had looked poor on at Worlds. With DanDy, perhaps the world's best jungler, showcasing a masterclass on the champion, the prevailing wisdom was that the top Asian Junglers would own the champion, for the time being, much as they did effective Rengar play. For the third time in his career, Meteos had found a way to reinvent a component of his game and become not only effective but excellent with this new approach. 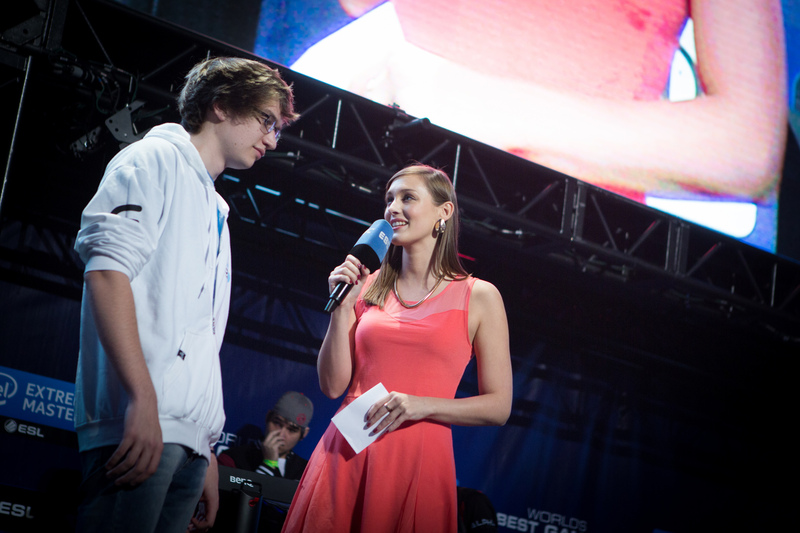 San Jose was the first international tournament title for Cloud9 and Meteos. Crucially, it came as a break in Meteos' history of somewhat underwhelming individual performances against top teams from other regions. Domestically, the C9 star has a resume which is befitting of a world class player, dominating his region and over multiple splits worth of play. With the longevity of having been at the top or returning to the top over a span of more than a year and a half, the American Jungler is now approaching the territory of being in line to become the best North American player of all time. At the Jungle position, Meteos has the domestic dominance and a history of reinventing himself, he now lacks for more international accomplishments and quality performannces. Run down a list of the world's best Junglers and there are only a few names to cite before one arrives at Meteos, but international success is the only way to truly move close enough to the god tier Korean names to make it a real debate as to who the best is. In an era where the individual gap sometimes seems at its largest across the positions, Meteos has a body of work and the skillset to reclaim the status Diamondprox once had as the rare Western Jungler who could be as good as the best the Koreans had to offer. The American monster has put together a career unlike any others, but there is still a challenge before him. Great Articles, by the way in "Meteos unleashed at last internationally" 5th Line, last word, Jarvan is spelt with an 'e' instead of 'a'. Amazing nonetheless.